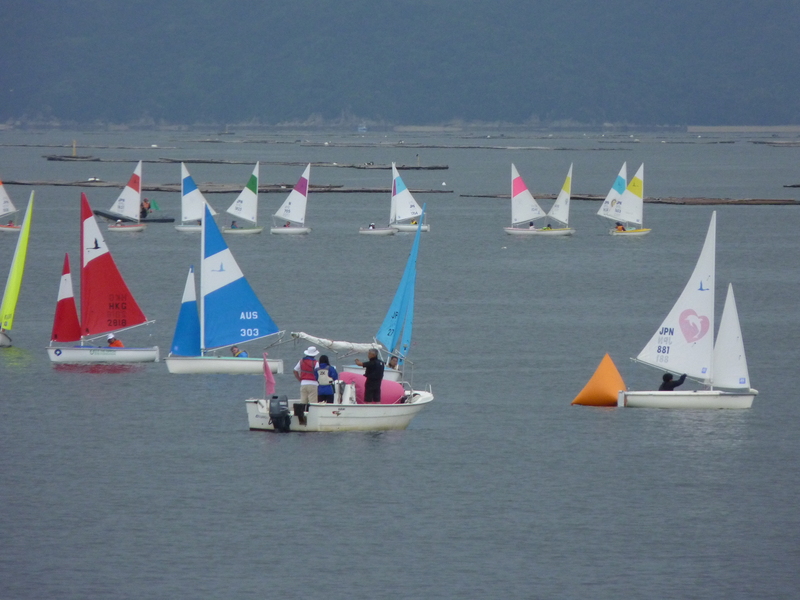 The first day of the 10th Hiroshima Peace Cup and International Hansa Class Regatta has been completed. Competitors and guests were welcomed this morning by Organising Authority Chairman, Mr Tsunehiro Yumane and other dignitaries, followed by a competitor briefing. At the beginning of the first session, the day was overcast with light drops of rain and very light wind. Race officials planned to hold competitors ashore, however the wind picked up enough to see the two morning divisions – the Hansa 2.3 and 303 single person divisions take to the water. Unfortunately, the wind dropped out during the first race for both fleets, however the 303’s still made it around the course in reasonable time, with the local sailors showing the way home. The 2.3 sailors struggled to make headway in the still conditions and courses for both fleets were shortened. The second race was delayed until the wind picked up, however again it faded during racing. 2 races were completed for both divisions, with the fleet returning to the dock to make way for the afternoon divisions. The afternoon breeze picked up as the competitors were making their way out for the Liberty and 303 doubles divisions, before changing direction and then dropping out completely. Races were started for both divisions, however were cancelled when the time limit expired. With no further likelihood of improving conditions, racing was abandoned around 4pm. 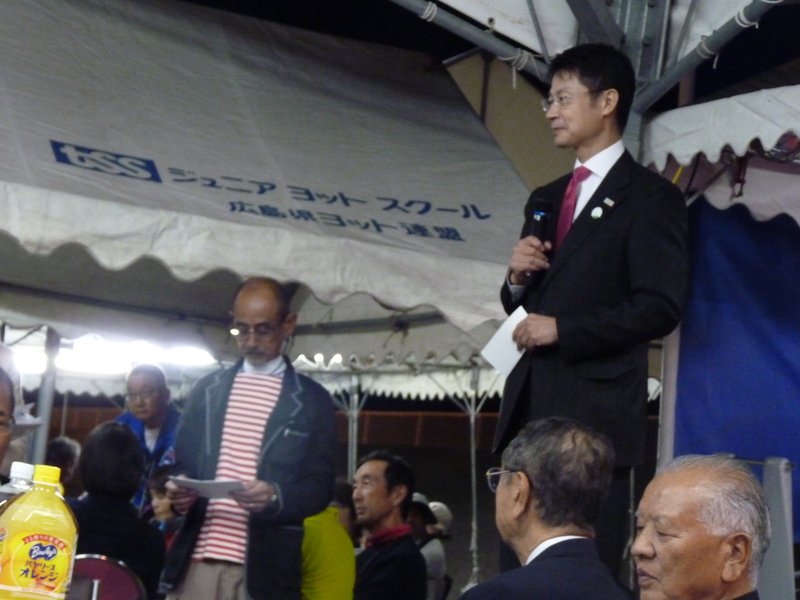 Competitors then assembled for a welcome dinner, and were honoured to be joined by the Mayor of Hiroshima and the Governor of Hiroshima Prefecture. Guests dined on some local delicacies and beers and were entertained by traditional Japanese drummers and local dancers. Conditions are expected to improve tomorrow, when the 303 doubles and Liberty fleets will be first up in the morning, with the 2.3 and 303 singles divisions wrapping up the weekend’s racing in the afternoon. Previous One year until the Hansa Worlds!